Soak up the beauty of this 170-year old cemetery while your guide regales you with stories of the fascinating people resting here in peace. Our two-hour guided walk is the perfect way "to have a colloquy among the tombs" as Washington Irving, famous author of "The Legend of Sleepy Hollow", did himself back in 1849. 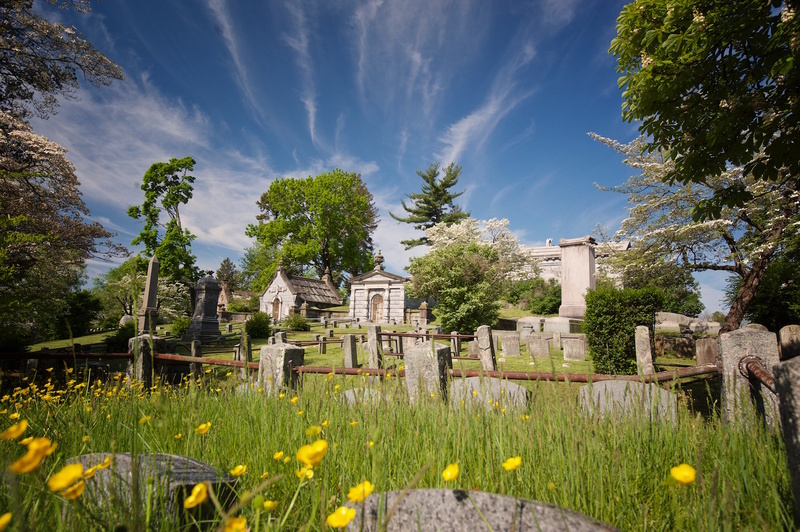 As The Legend Turns 200, we pay homage to the great author, but also introduce visitors to some of the other interesting people buried here like Andrew Carnegie, Samuel Gompers, William Rockefeller among others! Learn more about the amazing architecture and cool cemetery symbolism along the way. This tour gives a great overview of why Sleepy Hollow Cemetery is so famous! Dates: Every Saturday and Sunday 2:00 - 4:00 p.m., plus Memorial Day Monday. Skill level: This tour includes several steep hills, some stairs, as well as grassy, unpaved and gravel roads. There is no place to sit down during the tour. The route is approximately 1.5 miles. Please consider your own abilities before purchasing tickets.